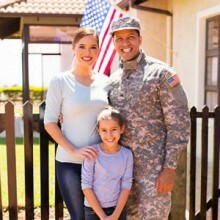 As one of the leading moving, full moving service companies in Northern VA, we have had the opportunity to provide service to many military families and government employees. You can count on us to provide moving services that are performed by professional, trained employees who are committed to making the moving experience stress-free for you. No matter whether you’re moving across the street or on the other side of the country, we’ll make the entire process easy. We offer full-service moving for government employees, and can take care of all the details for you. We don’t hire subcontractors to trust with your valuable belongings. Our professional movers have the experience, training, and resources to safely and securely move you to your new location. Professional Moving Service For Local and Long Distance Moving Relocation.